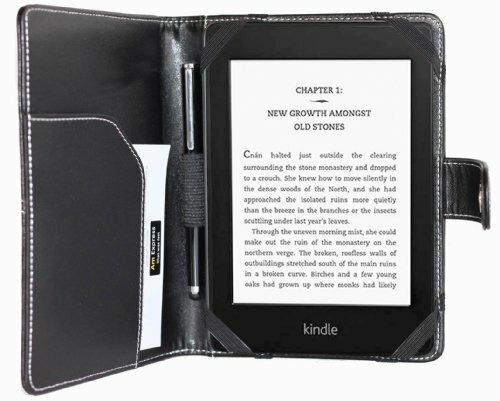 This case is made of high-quality, PU leather material both inside and out, protecting your Kindle from bumps, scratches and daily wear and tear. Unique design allows you to access all the Kindle features without taking off the case. A magnetic locking system ensures your device extra safety and security. Designed to be slim, sleek and durable this case focuses on minimizing additional bulk and weight, making it a perfectly portable travel companion. If you have any questions about this product by amCase, contact us by completing and submitting the form below. If you are looking for a specif part number, please include it with your message.